First of all Happy 4th of July to all of my fellow American viewers! Yes….I realize that I’m posting this just after midnight here and it is technically the 5th, but I just couldn’t finish it in time! Today is a day to celebrate and give thanks to all those who have sacrificed their lives to protect this nation for us over the past 237 years. Us Americans are all so blessed to live in a nation where we have the right to pursue our own happiness and the freedom to go after the dreams in our heart. I for one do not take that for granted, I know there are millions of people across the world that unfortunately do not have that luxury. 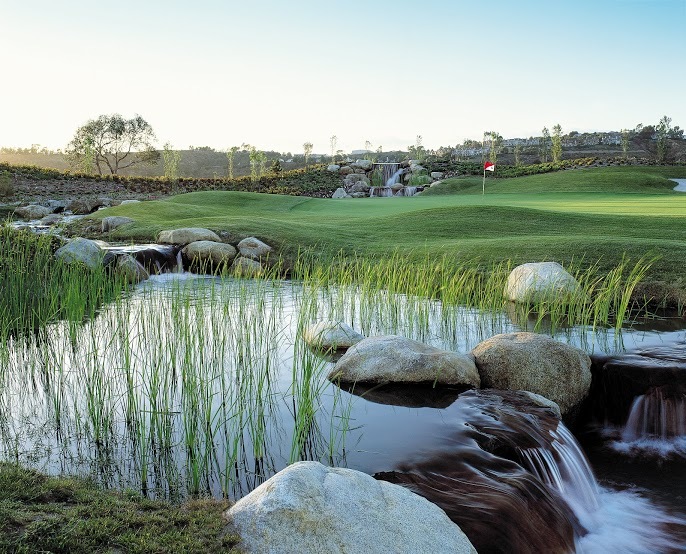 Played my 2nd round at Riverwalk today, completed back to back days of golf on the fantastic Riverwalk course, playing the exact 9 hole combination as yesterdays round of 78 (+6) Friars/Presidio. 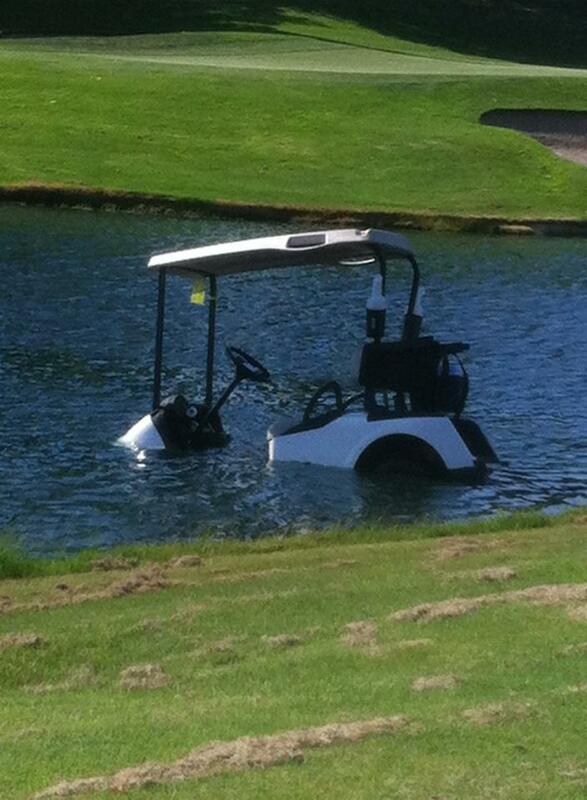 A really fun round out there today, that included a crazy accident that we witnessed on the back 9. Will probably never see that again in my life, check it out! Heading into 17, I was sitting at only +1, my dream of shooting an under par round is a possibility if I can play the final 2 holes in -2. Admittedly I was not even paying attention to my score, I knew I had a great round going, but did not know I was only +1. Like I said earlier, I am reading the book Zen Golf and it talks about just clearing your mind and focusing on the next shot in front of you and not thinking about your score as a whole. Double bogeyed this hole yesterday when I hit a PW short, so I took out my 9 iron today. Would have been pin high if I did not leave it out way left where it took a horrible bounce off a cart path. Had to hit an amazingly high flop over a few trees to a short sided pin location with a bunker in-between. Impossible shot, but I did flop it over the trees, but too far and it landed in a bunker on the other side….where it plugged. Bad break, but was able to knock it out to about 6 ft, but of course I missed the putt for back to back double bogeys on this hole, which I now will forever hate! Double Bogey. Great round. 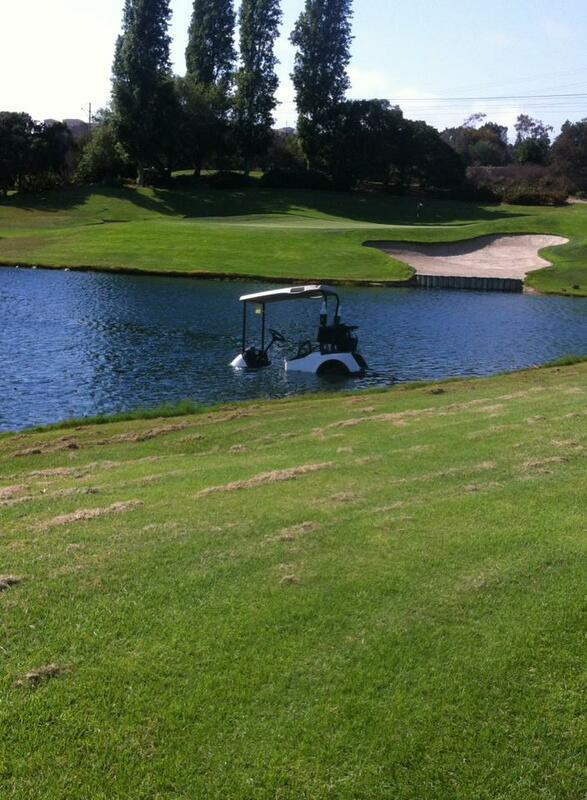 You should have been able to remove a stroke or two after the extra hazard of a golf cart in the pond!